Meet our CEO – Shri Narayanan Jambunathan, Ex-Deputy Managing Director & Chief Information Officer of State Bank of India, the largest Bank in India with a formidable presence overseas. A post graduate in Statistics, his wealth of knowledge and experience in both the domains and his passion for Information Technology is a sure formula for sharpening the Cutting Edge of our Company. 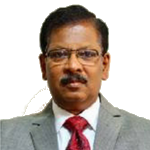 Mr. Antony Kottackal brings more than 36 years of experience in the field of banking and financial services to the position of Sales and Marketing Head at C-Edge. 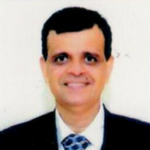 He has served SBI in diverse areas such as Credit Management, Portfolio Management, Treasury Operations, Investment Banking, International Finance, Information Technology and Payments System. With C-Edge looking to grow and take the next big leap, his formidable expertise in sales, business development and marketing makes him one of the key stakeholders in the company’s story. 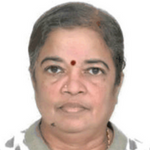 A veteran ex-banker with over 37 years of experience in banking, Ms. Ashalatha Govind brings to C-Edge a unique blend of domain expertise and strategic vision. 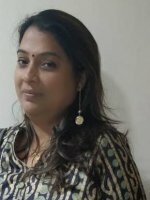 With remarkable knowledge in the fields of Core Banking, Cyber-Security and a host of other banking technology practices, Ms. Govind has, in her capable hands, the reins of the operational responsibilities of the company. Sunil has over 13 years of experience in information technology, client management and software development with nation-wide exposure in banking sector. Sunil has been with C-Edge since 2007 and has played a major role in streamlining the process at the Help desks located across various locations in India. 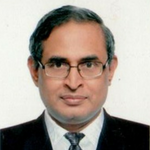 He has largely contributed towards the rollout of the State Bank of India and its Associate RRBs into CBS. Cheryl comes with an experience of over 15 years managing the Human Resources Functions across diverse industries. Prior to joining C-Edge, she served as the Assistant Vice President for Quantum Advisors Pvt. Ltd. . She also led a transformational journey and shaped people, processes and organization structures at Melstar Information Technologies Ltd.
Cheryl is passionate about building organizations based on performance and innovation, driven by a culture of empowerment, transparency, trust, and strong learning orientation. She believes in an open working culture which brings the best out of people and creates an environment of ownership wherein people work for themselves. Cheryl received a Master’s in Human Resource Development from MET College, Bandra and a Diploma from NMIMS.